Marietta Hoferer works primarily with paper, tape, and pencil to create weightless drawings of geometric abstractions that require the viewer to stop and look at intricacy of her work. Her work is influenced by architecture, weaving the subtle changing aspects of light, and the geometry seen in organic form. She was born in Hausach, Germany, and currently resides in NYC and Vermont. She studied at St. Martins School of Art and Design in London, England. Hoferer holds a B.F.A from Hunter College and a M.F.A from Hochschule der Künste in Berlin, Germany. Her work has been exhibited both nationally and internationally. 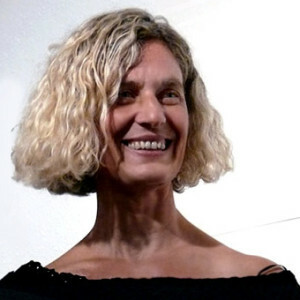 She has received several grants and awards from the Robert Rauschenberg Fellowship, Edward Albee Foundation, Pollock-Krasner Foundation, and the Fundacion Valparaiso in Mojacar, Spain. Her work has been collected be the Academy Art Museum, Arkansas Arts Center, Bellagio Collection Busch-Reisinger Museum, Saks Fifth Avenue, Kupferstichkabinett in Germany, and more. She has also done a commission for Zurich Capital Markets in New York, New York.